Store.lds.org is the place to order products and materials of The Church of Jesus Christ of Latter-day Saints. Note: If your country is not listed, online service with standard shipping is not available. For service, contact your nearest distribution center or choose "United States." (Additional shipping charges may apply to items shipped internationally from the United States. 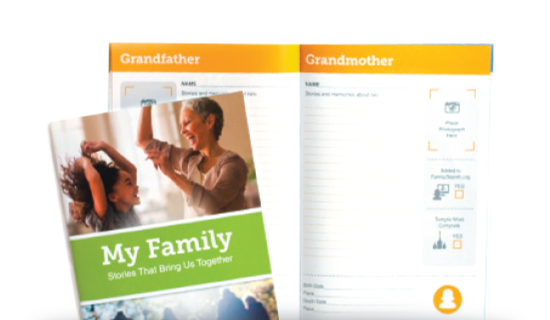 The My Family: Stories That Bring Us Together booklet is an engaging way to capture and preserve your family story. We'll help you record family information, including adding photos, names, dates, and precious family stories. Transfer information from your existing booklet or start fresh and create a new booklet online. Use the Helper functionality to log in for others and transfer their booklet information for them. Copies of the "My Family: Stories That Bring Us Together" booklet are available in multiple languages. Order your booklet today!